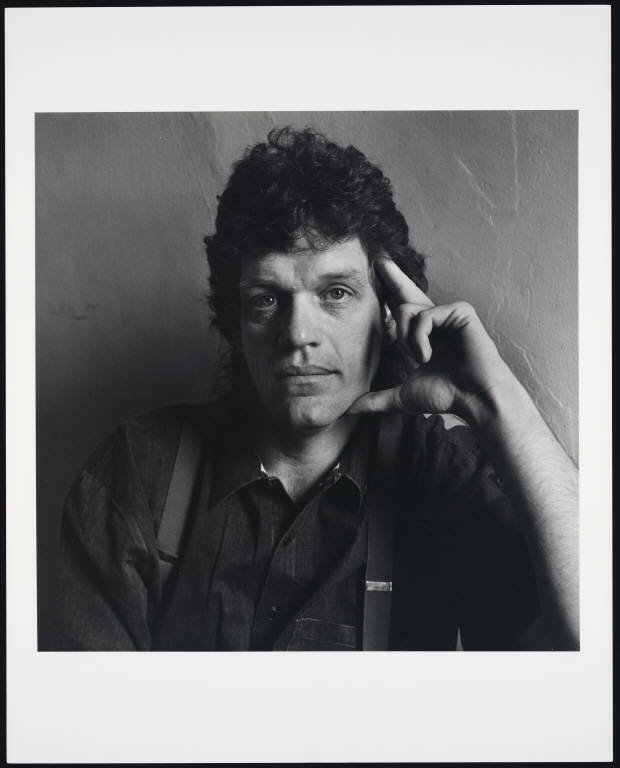 James Carroll Pickett (December 17, 1949 - July 4, 1994) was the playwright of Bathhouse Benediction, Dream Man, and Queen of Angels. He was also a teacher at the Beverly Hills Playhouse. James Pickett's performances in William Girdler's early pictures helped make those films shine. Pickett acted in three of Bill’s Louisville efforts, creating some truly standout characters in the process. He’s best remembered by trash fans for his role in the exploitation classic Three on a Meathook. As it turns out, his later role of humanitarian and award-winning writer proved far more significant. James Pickett III was born December 17, 1949 near Louisville, Kentucky. He first gained local fame by playing Daniel Boone in a Louisville pageant. He began working behind-the-scenes at Actors Theatre in his early twenties. Through his association with the theater, he landed a bit part in Girdler's debut feature Asylum of Satan. He also provided some of the "gore" makeup effects that appear in the 1972 film. His talent and personal charm impressed everyone he worked with, most especially Girdler. Pickett graduated from groaning ghoul to leading man for Girdler's second film, Three on a Meathook. In the role of Billy, the gentle would-be homicidal maniac with a bladder control problem, Pickett virtually steals the screen with his overstated country naivete. His sweet backwoodsey performance has earned him a special place in the annals of slasher film actors. Appearing alongside the always-incredible Charles Kissinger (also an Actors Theatre alumnus), Pickett holds his own rather well despite his relative lack of acting experience. In Zebra Killer, Pickett makes an about-face from the lovable character of Billy. He plays Mac in the 1973 feature, an insane serial killer who stalks his victims while disguised as a black man. He drools, he rapes, he weeps ... occasionally all at the same time! It almost appears as if much of his nutjob banter is ad-libbed, but it's very convincing just the same. He breathes life into what should have been a forgettable role, and he consequently dominates the film. James Pickett moved to California in the mid-70s. He never appeared onscreen again after Zebra Killer. However, he enjoyed an auspicious career as a playwright, poet, and community activist while living in LA. His distinctions include serving as Writer In Residence at the Beverly Hills Playhouse as well as awards from Drama-Logue and The LA Weekly. His critically acclaimed plays toured nationally and internationally. One of his plays titled Dream Man was adapted into a 1991 film produced by Kevin Glover (Reality Bites). Pickett also started the Gay Men's Writer series at A Different Light Bookstore. He was co-founder and executive director of Artists Confronting AIDS (ACA's other co-founder Michael Kearns stars in the film adaptation of Dream Man). Pickett additionally founded and produced the STAGE benefits for AIDS Project Los Angeles. James Carroll Pickett died from complications related to AIDS on July 4, 1994.